I am a Fellow of the Association of Chartered Certified Accountants having qualified in 1989. I spent two years in the British Virgin Islands with KPMG and returned to Jersey in 1993 to take up a partnership with Bestwick, Bone & Allbut, later PKF bba. I have a variety of local clients and place great emphasis on personal service, looking after their general accounting and tax affairs. My client base is diverse, and I’ve been involved with some for many years. 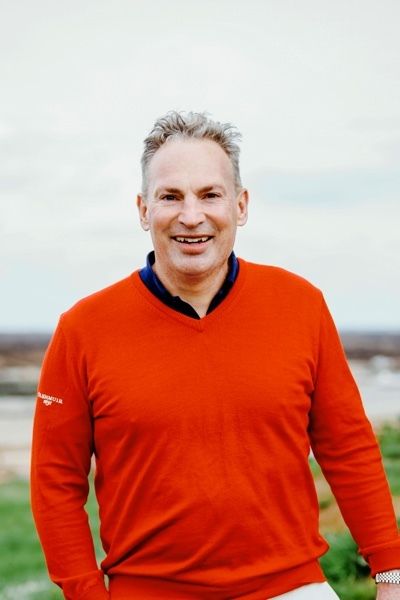 I believe in old school methods of business development and I am happy to meet new or prospective clients for lunch or a game of golf as an alternative to the boardroom. I’ve been an accountant for 34 years and, in that time, I have looked after a whole range of clients. I particularly enjoy helping Jersey-based SMEs. A few years ago, and after a very long time working, I decided to take a sabbatical to spend more time at home with my family. After a wonderful three-year hiatus, I was pleased to be back on a flexible basis working with great clients and colleagues who are happy to come to work every day. I am married to Paula and we have three children, two of school age. I actively support their activities, meaning I spend a lot of time in my car! When I’m not the official family taxi service, I love golf and am a enthusiastic member of the Royal Jersey Golf Club. I am mad about sport and also played rugby and tennis for many years, enjoying the camaraderie and socialising that come with it. As a diversion from accountancy and reflecting my interest in Vespas and Lambrettas as a teenager, I set up and owned a motorcycle shop in Jersey in the 1990s.